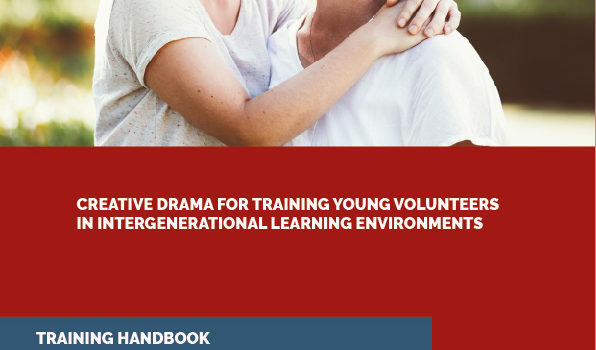 “Creative Drama for Training Young Volunteers in Intergenerational Learning Environments”. Online the Report from the piloting of the intergenerational training program in Romania, Italy and the Czech Republic, outlining participants’ experience. On Friday, June 15, a multiplication marathon event organized by Habilitas Association within the Erasmus + project “CREA.TYV – Creative Drama for Training Young Volunteers in Intergenerational Learning Environments” took place in Bucharest. 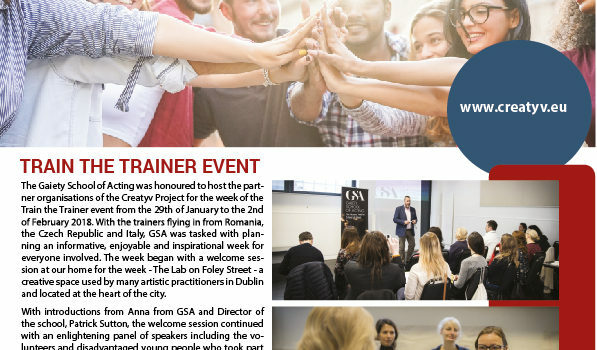 The 5 days ‘Train the Trainers’ transnational learning event took place in Ireland, Dublin, from January the 29th to February the 2nd, hosted by the Gaiety School of Acting. The train the trainer programme developed by the Gaiety School of Acting, The National Theatre School of Ireland will take place in Dublin from 29th January-2nd February 2018. A intergenerational approach. The e-book is available now! On the 5th December 2017 the Gaiety School of Acting (Ireland) ran its first workshops of the Erasmus+ Creatyv Project with wonderful older adult volunteers!